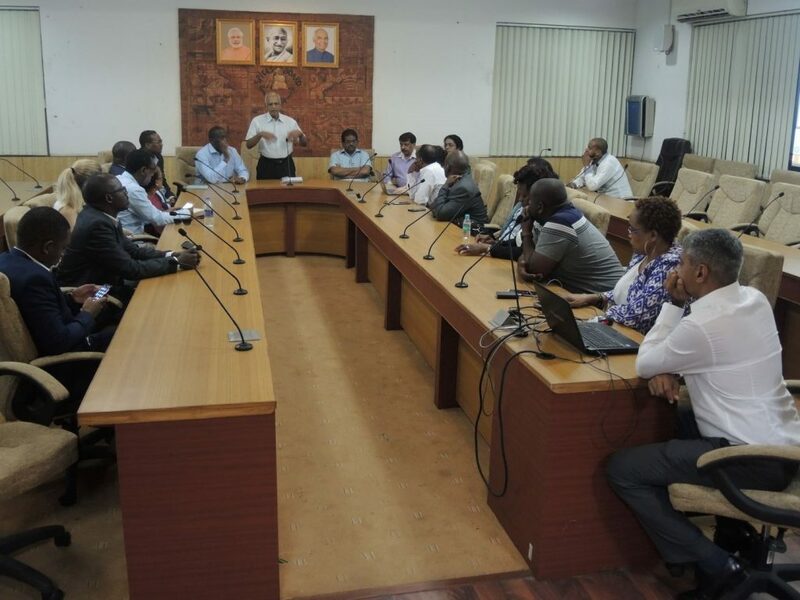 In December 2018, SITA organised investment promotion visits across India for high-level delegates from Ethiopia, Tanzania and Uganda. 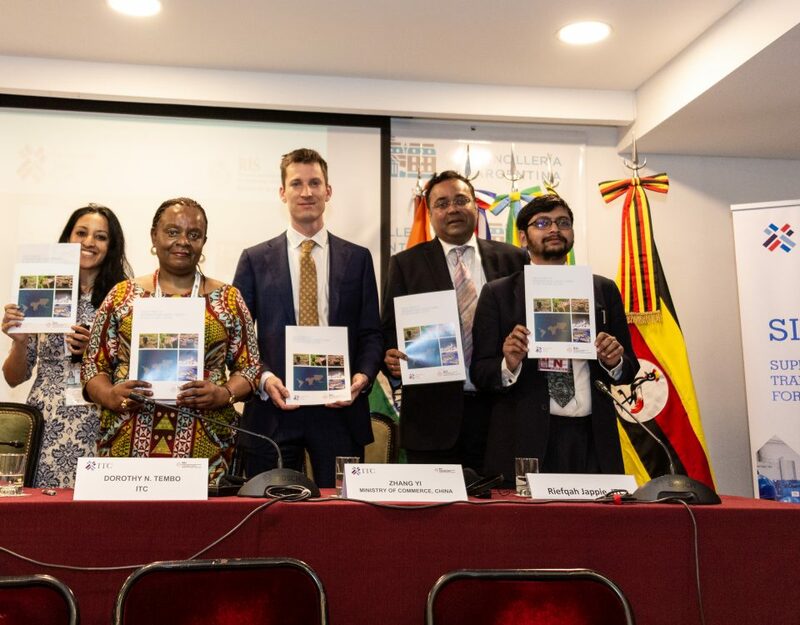 The mission targeted the pulses, oilseeds and spices sectors, with over 90 Indian companies sensitized about trade and investment opportunities in the three East African countries. 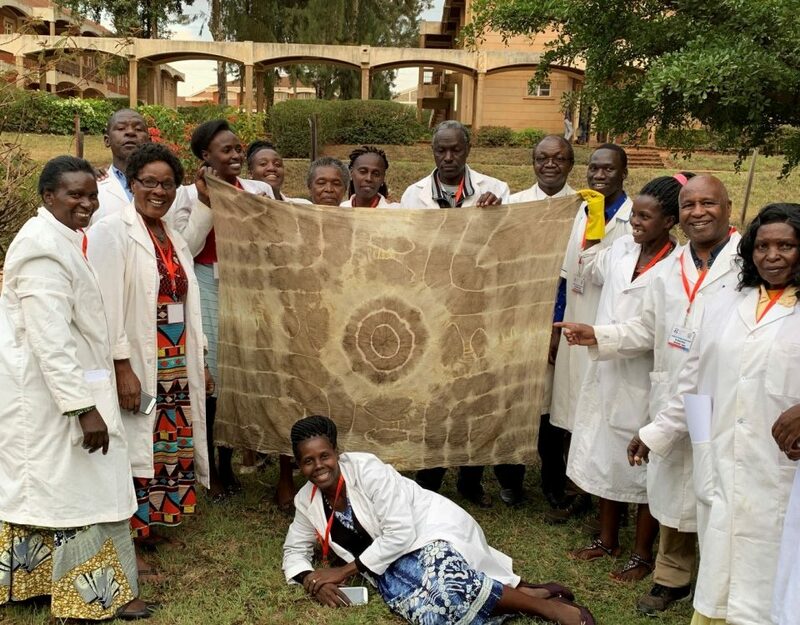 The East African delegates engaged with Indian businesses in the cities of Kanpur, Mumbai and Cochin, and visited state-of-the-art company facilities. An outcome of the mission is that SITA will organise a pulses focused investment mission to East Africa in March 2019. 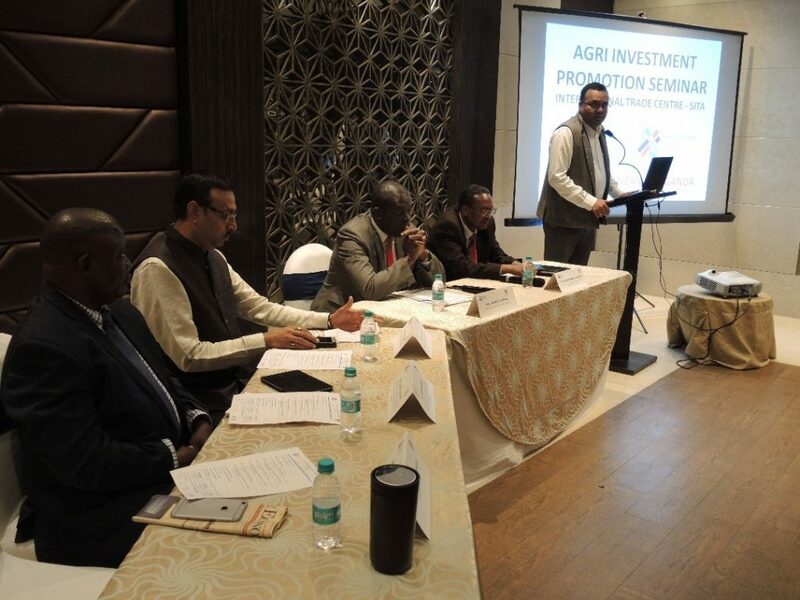 From 10th to 14th December, SITA organised investment promotion seminars across India focusing on the agribusiness sectors – Pulses, Oilseeds, Spices – for a high-level delegation from Uganda, Ethiopia and Tanzania. The delegates visited the Indian cities of Kanpur, Mumbai, and Cochin, each a hub in the pulses, oilseeds, and spices sectors respectively. 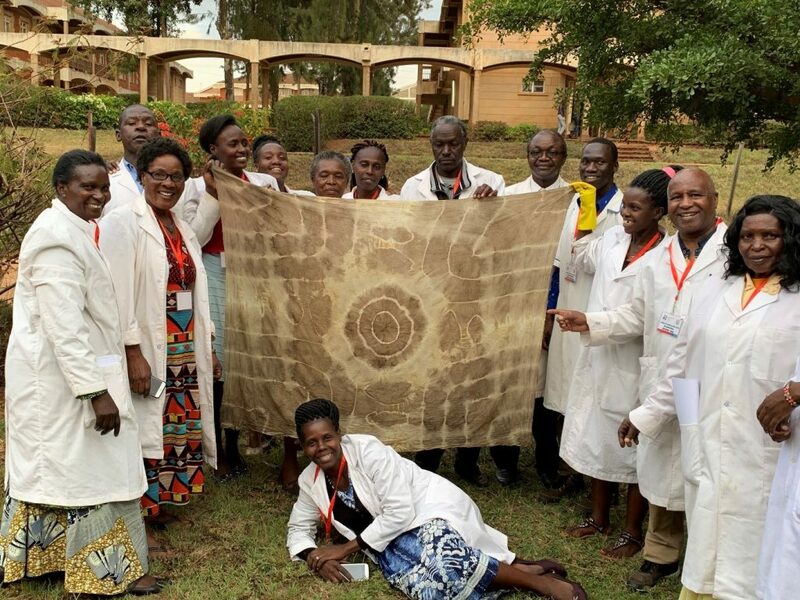 At each location, the delegates were able to present a picture of a united East Africa that prioritizes investment security, reliable and low-cost energy supply, availability of labour, ease of doing business, and policies that support the development of the agribusiness sectors. Pulses Investment Promotion Seminar in Kanpur, Uttar Pradesh. From left: Mr Ludovik Nduhiye, Deputy Permanent Secretary, Ministry of Industry, Trade and Investment, Tanzania; Mr Mithilesh Gupta, President of Kanpur Dal Millers Association; Hon. Michael Werikhe Kafabusa, Minister of State for Trade, Uganda; Mr Ayalneh Abawa, Senior Advisor to the Minister of State for Industry and Trade, Ethiopia; and Mr Govind Venuprasad, SITA Coordinator. Next, the delegation travelled to Mumbai where they participated in two investment promotion seminars on pulses& oilseeds; and spices. They also visited one of India’s oldest and largest sunflower oil refineries – Liberty Oil Mills Limited – where they were able to observe the company’s extraction and refining processes. The visit was eye opening especially for the variety of edible oils processed by the company. The investment promotion tour ended in Cochin, Kerala, known as the spices capital of the world. The delegation participated in a second spices investment seminar where they highlighted opportunities in East Africa in hot peppers, black cumin, vanilla, ginger, white cumin, coriander and fenugreek. They then made two field visits; the first to Kancor Ingredients Ltd, one of the oldest spice companies in Kerala founded in 1857. A tour of the state-of- the art processing facilities at the Kancor plant, with the aroma of spices wafting through the air, exposed the delegates to the best-in class technologies employed by leading Indian spice companies. The delegation meets representatives of the Spices Board of India. The delegation also visited the Spices Board of India, a key sector institution promoting the development of Indian spices. The Spices Board houses a well-equipped and modern quality-testing laboratory. 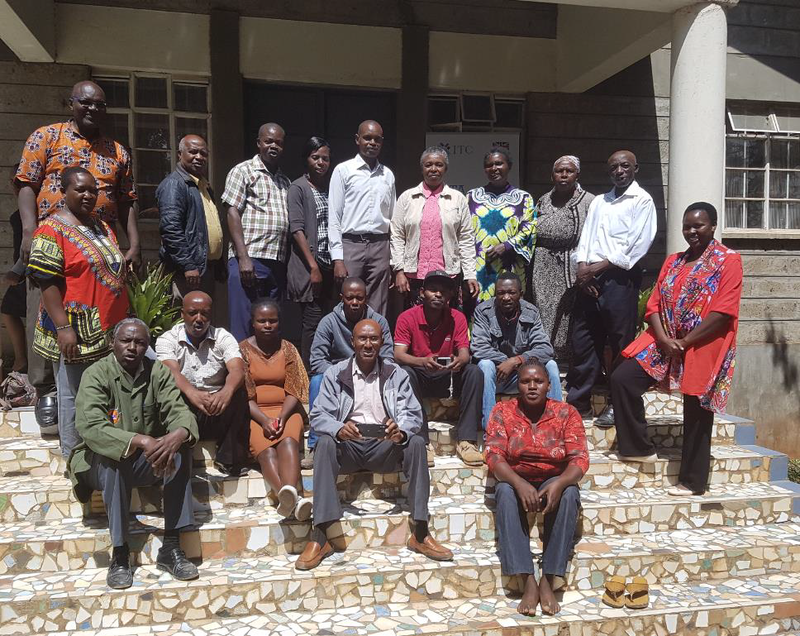 The board’s support to commodity auction markets, which guarantee farmers stable prices, and its organization of farmers in viable production clusters, were examples of best practices that can potentially improve the development of the spices sector in East Africa. 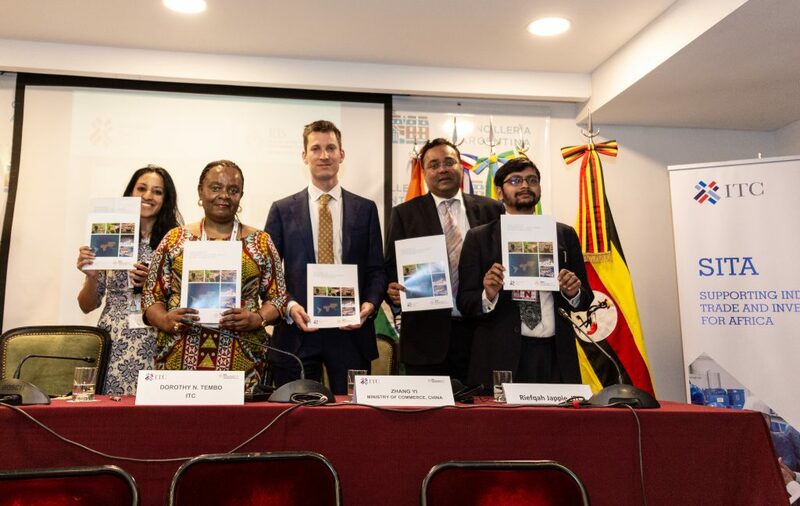 At the end of the weeklong investment promotion tour, the East African delegation went home with a stronger sense of how to target further investment from India; while over 90 Indian businesses gained insight into the attractions of East Africa as an investment destination in pulses, oilseeds, and spices. 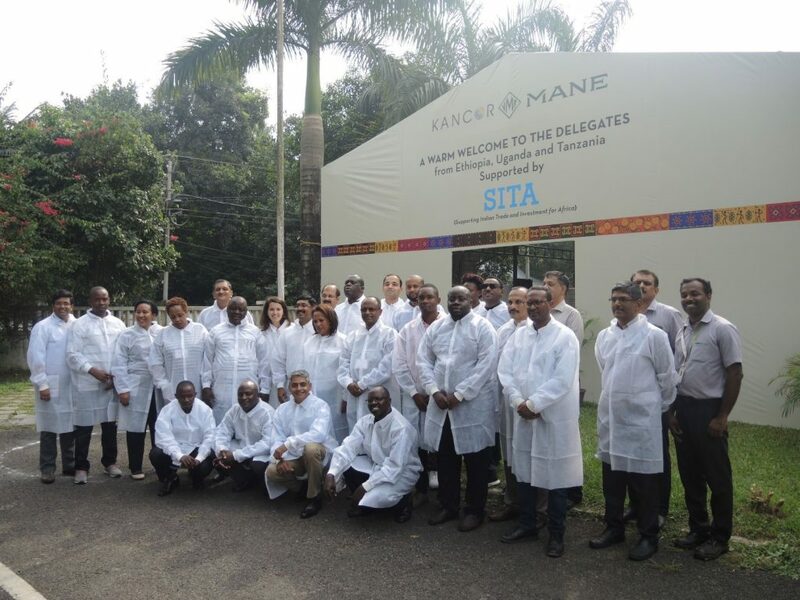 As ever, seeing is believing: SITA will organise a pulses focused investment mission taking Indian businesses to East Africa in March 2019.